Home Page / News / Pharma Systems distributor network! Become a member of the growing worldwide network of Pharma Systems distributors! PHARMA SYSTEMS has production experience of high quality Heat and Moisture Exchanges, HME Filters, Bacterial Filters and patient connectors since 1989. BACT-TRAP, BACT-TRAP HEPA, BACT-HME, PHARMA MINI and PHARMA TRACH are manufactured for use in demanding clinical environments and are known as efficient and very stabile under various ventilation parameters over whole usage period, offering comfort and safety for patient as well as medical personnel. Products are currently distributed worldwide in more than 60 countries by authorized representatives. PHARMA SYSTEMS offers all possible combinations of patient connectors and smooth shape filters/HMEs from our product range in accordance with customer needs. Product range is developed combining experience and innovative ideas, offering high breathing comfort and securing safety. PHARMA SYSTEMS is a dynamically developing company continuously investing considerable financial means into product development and testing with the aim to build up a strong and modern company which will be a reliable and sought-after partner. Our product laboratory is equipped with all necessary devices for product development and improvement, including HME test rig following ISO 9360 and TSI Filter Tester 8130, recommended by European Standard EN 13485:2001. Development and manufacturing processes are subordinated to quality assurance system, corresponding to ISO 13485 and ISO 9001. Quality Assurance System is approved and supervised on a regular basis by Intertek Semko. By manufacturing the filter products themselves, PHARMA SYSTEMS can not only offer a unique solution to its clients’ needs, it can also offer very competitive prices. If you are interested in learning more about PHARMA SYSTEMS and becoming a part of this exciting world wide team of representatives and distributors of the finest line of products available anywhere in the world, let us know more about yourself, your firm, and your interests. Please be aware also that while we would not divulge information contained in your response to any other person, including any other distributors operating in your market, we also want you to know that existing PHARMA SYSTEMS distributors are a loyal bunch of representatives. Most have been representatives of PHARMA SYSTEMS for many years and they have stuck with PHARMA SYSTEMS both in “up” markets as well as “down” markets. The ideal distributors will have to have established network of sales channels to major hospital end users, knowledge of local market, awareness of competition, a satisfactory number of years of experience in the field, good area coverage and satisfactory supply chain to the hospitals supported by the IT solutions preferably. 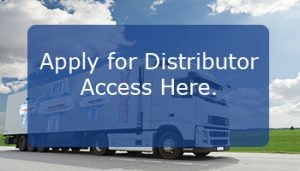 If applying to act as our distributor, please help us understand your company and your experience as a potential distributor of PHARMA SYSTEMS products and services by sending us (1) your company profile, (2) list of major product lines represented at the moment (3) list of major customers, (4) market profile, and other relevant information. For more information about filter products or to find out about becoming a distributor for PHARMA SYSTEMS please contact us .